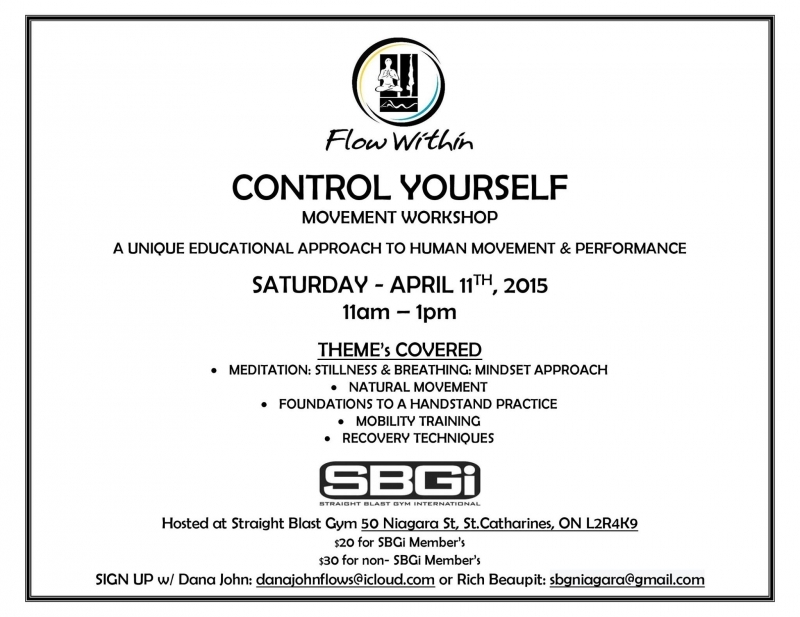 Dana is one of the most sought after Coaches in the field of human movement, and he is bringing his passions and skill to SBG Niagara, centrally located near downtown St.Catharines, for both members and non-members to improve on their fitness. Division one NCAA athletic scholarship for soccer in the Conference USA at Marshall University in Huntington West Virginia from 2004 to 2008. Belgium in 2009 and then to Germany in 2010 to partake in professional trials. USA Weightlifting Sport Performance Level 1 and Poliquin International Certification Program Level 2 certifications. In 2014 he was named as Functional Range Conditioning Instructor which allows him to assist Dr. Andreo Spina in his worldwide mobility certification course. As you can see, Dana has the skill set to help anyone improve their overall fitness levels. He is a very genuine and caring individual who is most concerned with bringing out the best in each individual attending the workshop. Whether you train in Brazilian Jiu Jitsu, KIckBoxing, Self Defense, any other martial arts, or you are an athlete from any other sport, or simply an "average joe" wanting to improve yourself, this workshop is for you! The workshop will include basic's of meditation and pranayama (breath control), natural movement mechanics, foundation's to start a handstand practice, mobility training (strength through flexibility) and recovery techniques/strategies. The workshop is open to both adults and children (7years of age and up), and is open to the public. To register contact Coach Rich at sbgniagara@gmail.com or call us at 905.329KICK(5425).